Custom work for Illlinois, USA. 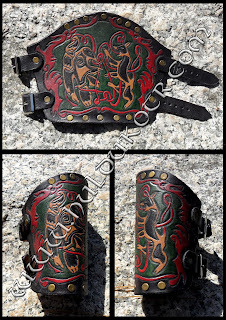 The same customer who asked us to make this saddlebags (link) wanted the same design on a bracer. 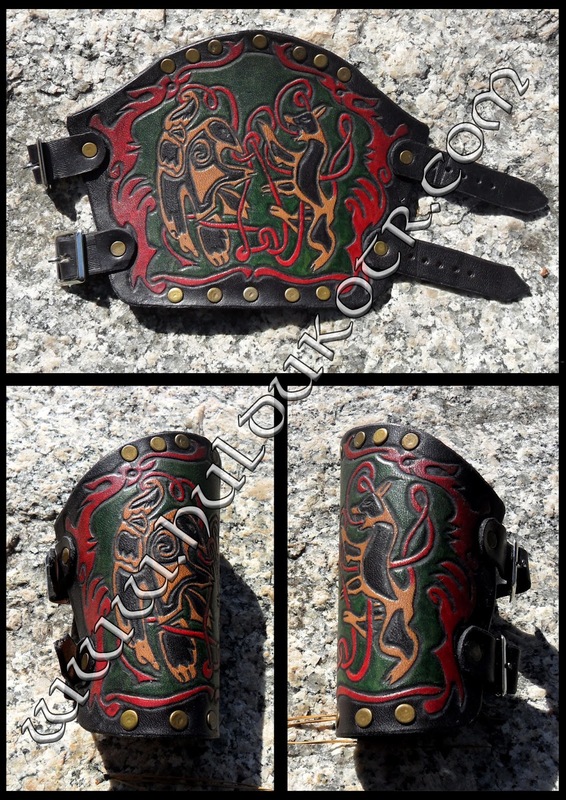 The story behind this design is that our client wanted a design which reflected his mixed Irish and Norse ancestry in one piece, so...here we went!